There are many perks to living in Los Angeles. The beautiful beach, warm weather, and great food, just to name a few. 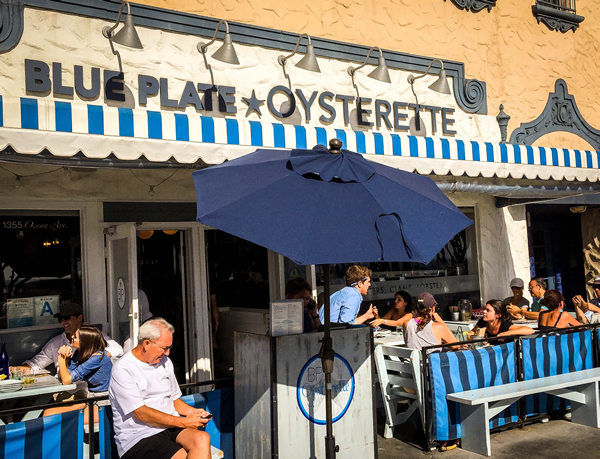 A couple of weekends ago, we decided to take advantage of all three by going to a restaurant known for their oysters right by Santa Monica Beach. 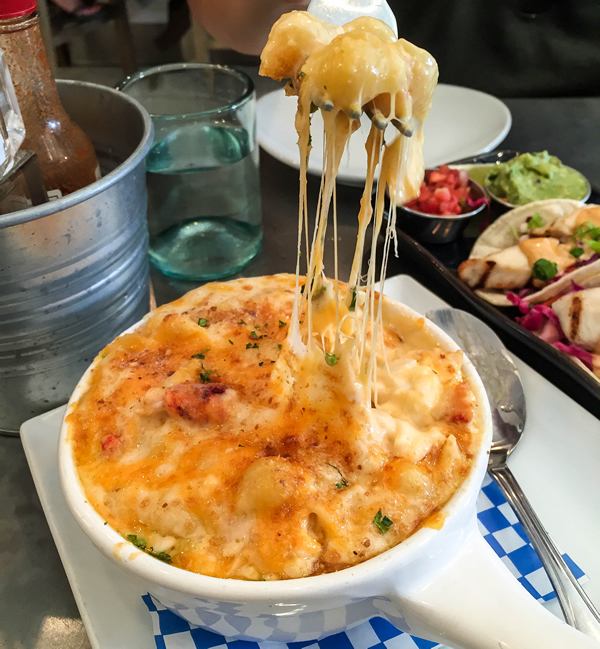 I had been to Blue Plate Oysterette a while ago, and I couldn't forget their lobster mac and cheese. I wanted to go back and see if it was as good as I remembered. Plus I wanted my hubby to have some, since he loves mac and cheese. When we got there on a Sunday afternoon, it was crowded, but no wait. There is a nice patio area as well, but we were seated indoors. 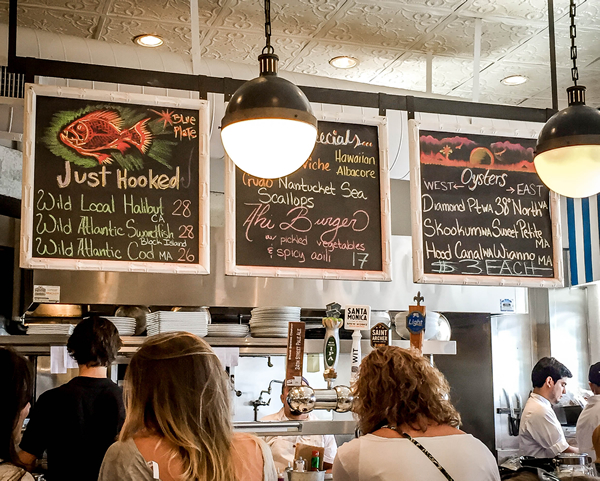 They have several different kinds of oysters on a daily basis, and the board let's you know what is available that day. 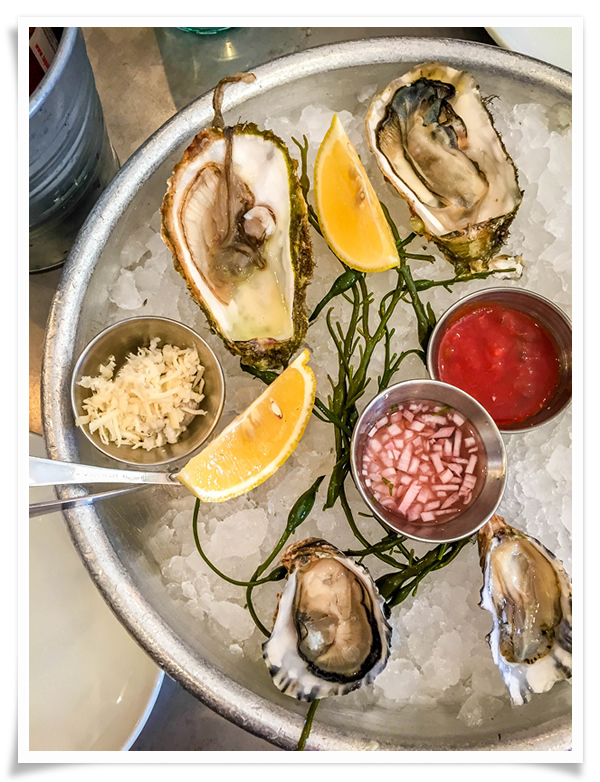 They are all $3/oyster, so you just order how many you want and which kind. 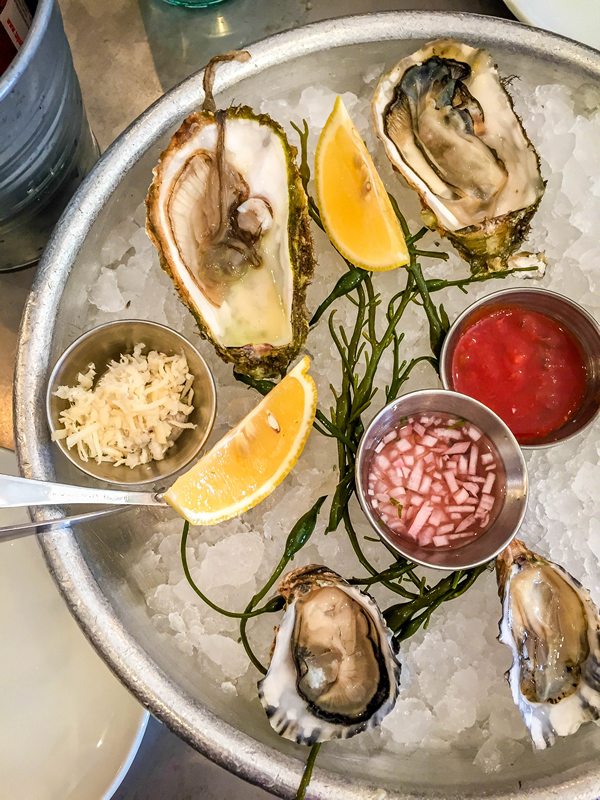 We decided to try Skookum oysters and Diamond Point oysters, both from Washington. If you're not sure what to order, you can always consult your server for some recommendations. We enjoyed both, although my favorite was the Diamond Point. Sweet, briny, and delicious. 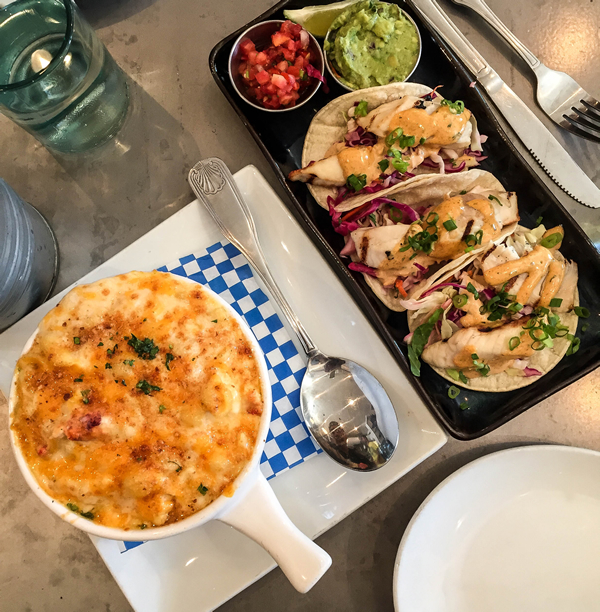 For our meal, we shared the fish tacos and lobster mac and cheese. 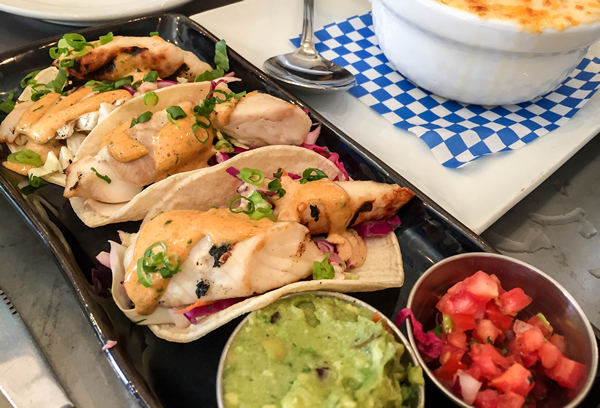 The fish tacos were fresh, succulent, and nicely seasoned. I could taste a little cumin, and it was a nice addition to the flavors. The star of the meal was lobster mac and cheese. Ooey gooey cheese with big chunks of lobster. What is not to like? It's deliciously rich, so I recommend sharing the dish. I've made lobster mac and cheese (Barefoot Contessa recipe), and I have to say, Blue Plate Oysterette's blew mine out of the water. 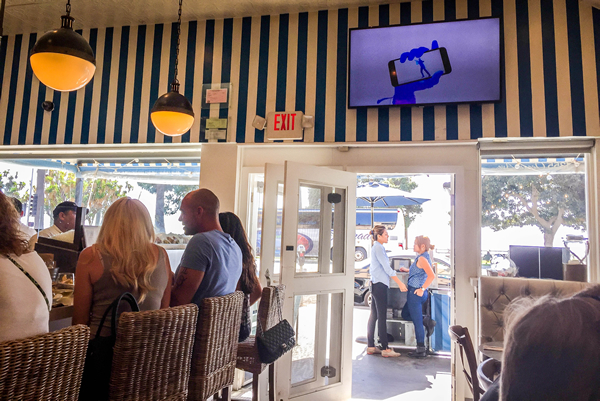 Fun place to people watch, eat good food, and enjoy some fresh ocean air afterwards. If every weekend could be like this! 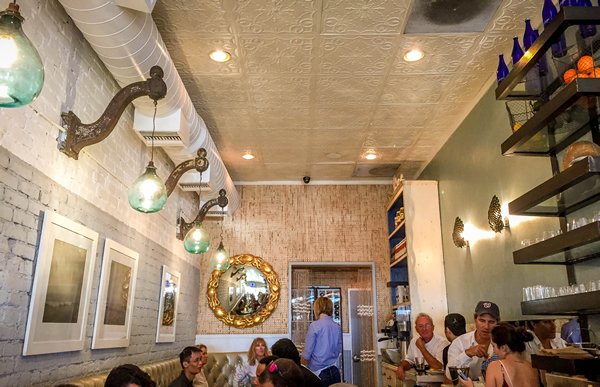 Click here to go to this restaurant's Yelp page for more info.